Migos brought out Tyga during their most recent tour stop in Las Vegas. Tyga is one of the many artists that has been brought out during Migos’s tour with Drake. The rappers also brought out Meek Mill in Boston and Philadelphia, French Montana in Brooklyn, Travis Scott in Toronto, New York City, Ontario and Houston, and various other artists. Tyga got on stage, much to the excitement of the audience. He performed his hit song “Taste” which features Migos’s very own Offset. 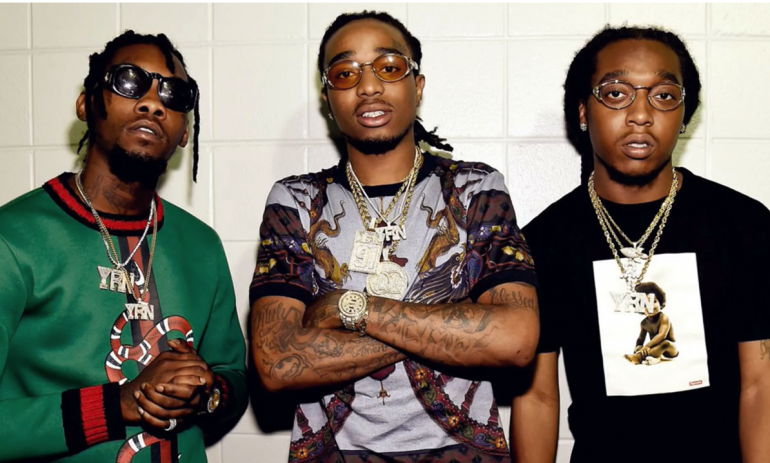 It will be interesting to see what other artists Migos and Drake surprise their audiences with on the remainder of their tour. Unfortunately, this comes just before they announced that they’d be cancelling three more tour dates, in St. Paul, Salt Lake City, and Denver. You can watch Migos bring out Tyga at their Las Vegas show below!